Restless and dissatisfied, Will dreams of shipbuilding and sailing on crystal-blue waters. Then an explosion of senseless violence drags the young American drifter into a lethal game of terror and revenge. Now Will Lee must run for his life from a bloody past that is not his own. 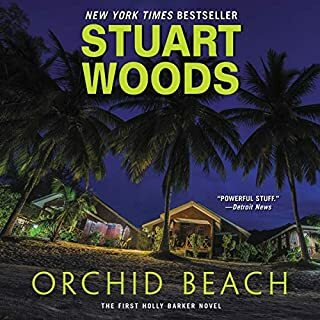 I started this series with Chiefs of course and have listened to many of Stuarts Stone B. series books, however I have to say this book is my absolute favorite. The story kept me engaged, I loved how the characters were developed and intertwined. The only thing about the book I didn't care much for was the ending and the closing one way or another of Will's and Connie's relationship. I was rooting for them to get back together, but alas, it appears not to be so in this book. I guess I'm on to the next book to see. 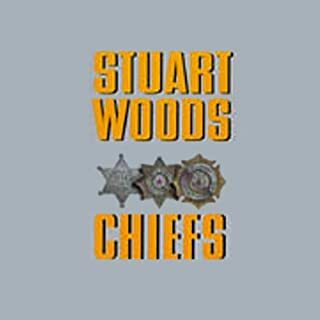 I read Stuart Woods "Chief" and was impressed with the quality of writing and story telling. This is book two in the series of the Lee family. This book drops a generation to Will Lee Jr. He is drinking and not pulling effort into his law school studies, so decides to take time off from school and visit his maternal grandfather in Ireland. The story takes place mainly in Cork in southern Ireland. Woods does provide a good deal of information about the country side. The opening of the book grabs your attention but you will have to wait to the end of the book to find out what happed. Will meets an English couple and helps them with the building of a sail boat for a cross Atlantic race. The story is suspenseful, with information about Irish politics of the 1970's and the IRA terrorist attack's against the English. There is some romance and humor in the story. Will has a lifetime habit of not finishing anything he starts so part of the story is will he finish the boat, run away when the situation get tough, will Will and Connie get married, will he grow up into a man? John Keating did a great job with the narration and all the accents. Where does Run Before the Wind rank among all the audiobooks you’ve listened to so far? What other book might you compare Run Before the Wind to and why? Compared favorably to Chiefs which may be the best book I've ever listened to. What about Rick Holmes and John Keating ’s performance did you like? I liked them a lot. If you could rename Run Before the Wind, what would you call it? I had listened to all of the Will Lee series prior to listen to this. As far as I know the audio version of this one had not been available until fairly recently. The Will Lee series is one of my all time favorites, and I have listened to audio books constantly for close to 20 years. I puzzle why others who read this story could grade it so low. It was definitely not a Stone Barrington bed romp. It had character, believable sequences and story lines. It was a complete departure from Stuart Woods other fiction and was extremely believable. I wish he'd pursue this avenue more in the future. The bed romps are getting old. Will Lee without a doubt. He was believable. What does Rick Holmes and John Keating bring to the story that you wouldn’t experience if you just read the book? I felt like was was a witness while listening. Will's maiden voyage, finding himself. Well narrated, but I have no love of sailing and my knowledge of 1970's Irish rebellion is spotty. But even in all my ignorance, I found the plot lines predictable and pretty dull. I chose this book because I was delighted to find that Woods had written a series on Will Lee. This one focuses on a year during law school where Will hangs out in Ireland and goes from being a boy to a man. Romance and tragedy about, but he comes out stronger for it all in the end. Would you try another book from Stuart Woods and/or Rick Holmes and John Keating ? 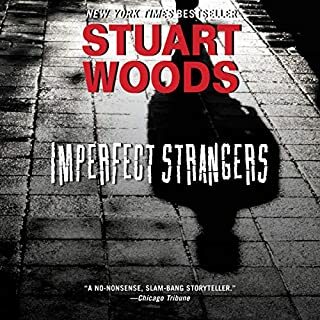 I've downloaded and listened to almost every Stuart Woods book but I found this one didn't hold my interest at all. 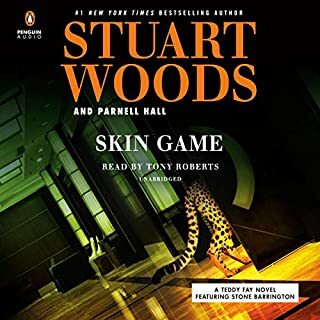 If you’ve listened to books by Stuart Woods before, how does this one compare? Toward the bottom of the list. Narrater was ok but he couldn't do much with the material. Do you think Run Before the Wind needs a follow-up book? Why or why not? 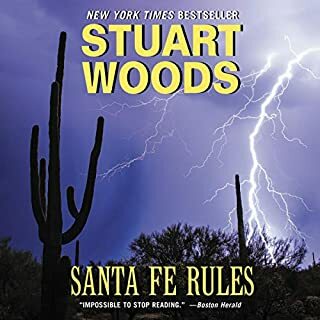 Even though some of Stuart Woods more recent Stone Barrington books have become rather blah and predictable, they are still more entertaining than this book. What was one of the most memorable moments of Run Before the Wind? Which character – as performed by Rick Holmes and John Keating – was your favorite? I listened to the entire book non-stop on my drive to the beach, a total of 16 hours. Great book. I loved the first book, and will try the third in this series, But Run Before the Wind was a sailing book disguised as a thriller. I couldn’t really like any of the characters. 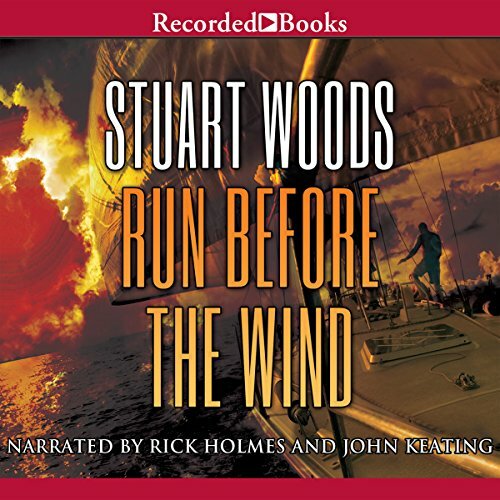 It was as if Stuart Woods had a new sailing hobby and couldn’t wait to tell us all about it. If you like books about yachts this will be your thing .. but we thought the narration didn’t enhance the story or characters that well. 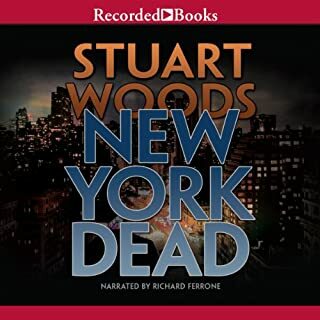 This is the second audiobook by Stuart Woods that I have listened to. As with "Chiefs", the story is rich in detail, and kept me engaged until the end.